Last week, we lost that thing. 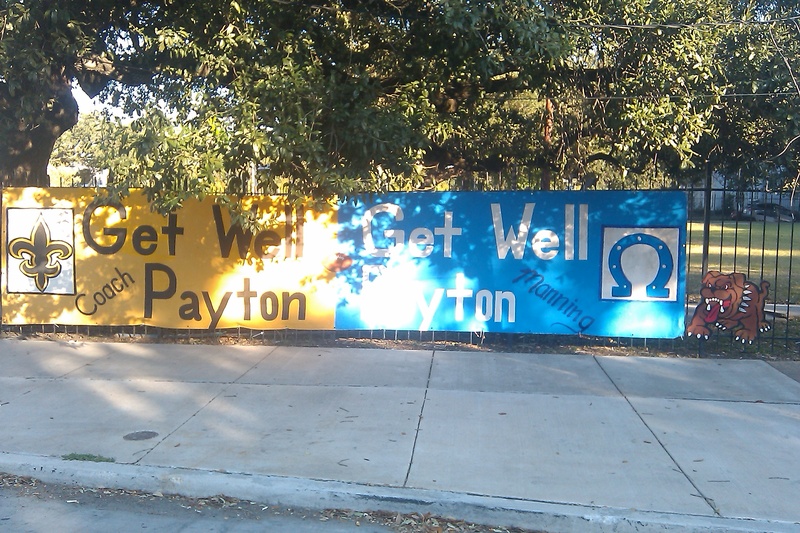 Coach Payton got injured. We throw some intercepts. Ahhh. This New Orleans though baby. You know right, right after the game, we took to hits of the nerve tonic. (Exhales…) Then went right back at it,lol. 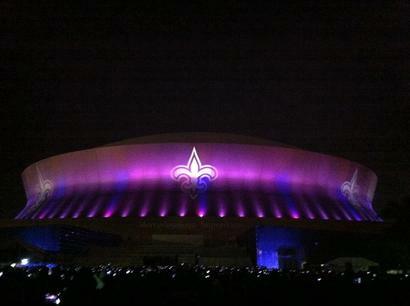 With the spirit of the #whodat nation. 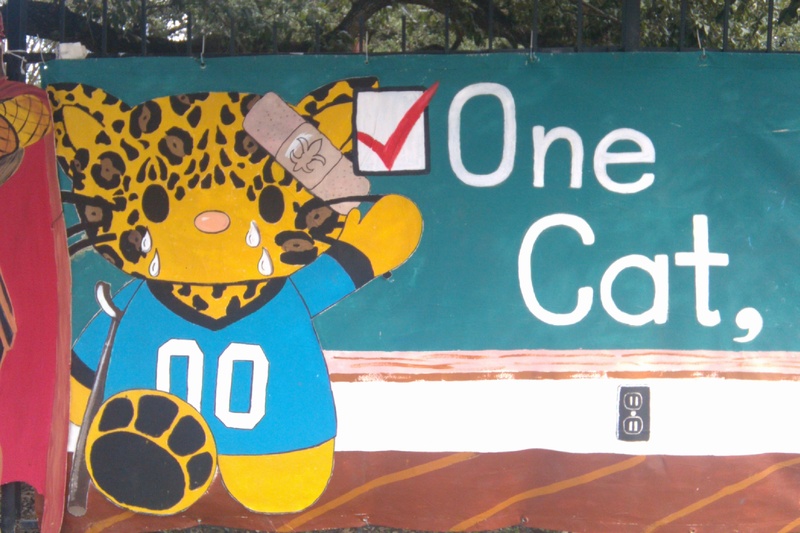 Im posting up this week pics of the murals my alma mater, McMain, keeps putting on their gates for this year’s season of football. 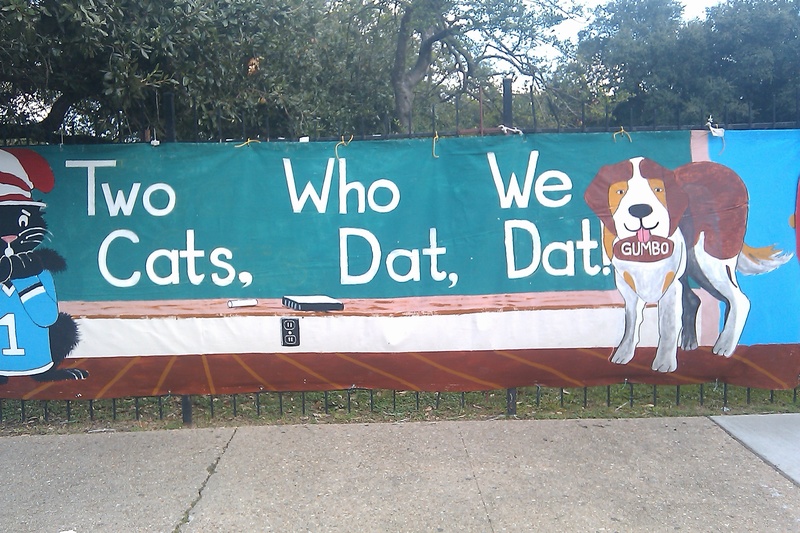 Aite, in keeping with the spirit of the #whodat nation. 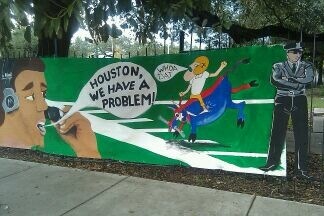 Im posting up these late pics of the murals my alma mater, McMain, keeps putting on their gates for this year’s season of football. 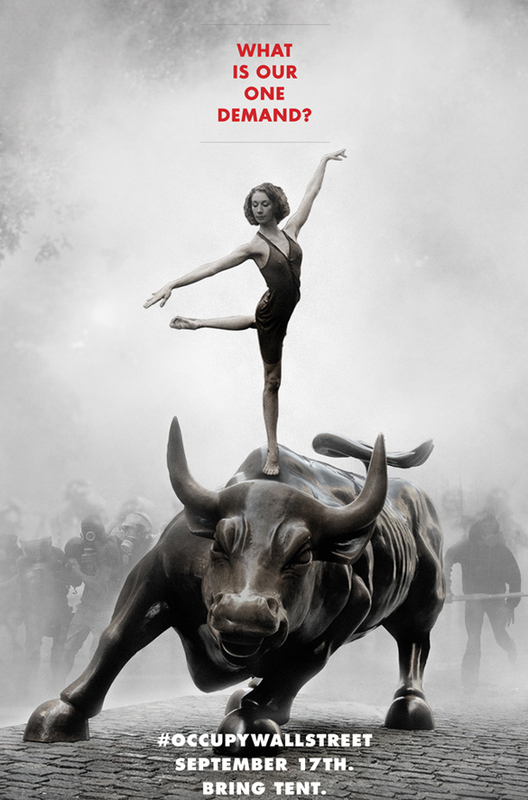 #OccupyWallStreet <<<<<Have you seen this hashtag before? Word? Well you should. Aite. It’s Saturday. So you know tomorrow…It’s Sunday. GAME DAY nikka! 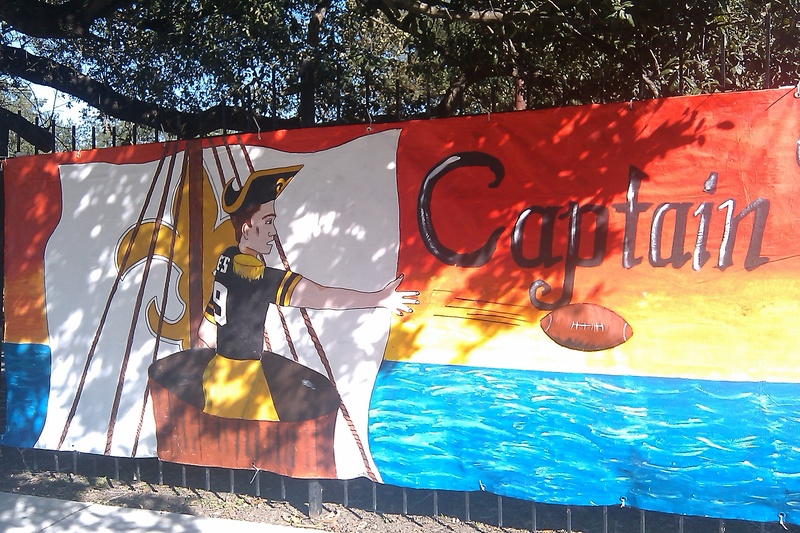 I mean unless you been sleeping like Rip Van Winkle the (ahem) Super(bowl) Saints will be taking on the Texans. I believe we lost to them in the pre-season. What the fcuk eva. Props to their bench but tomorrow I squad will be showing up to PLAY not exhibition. 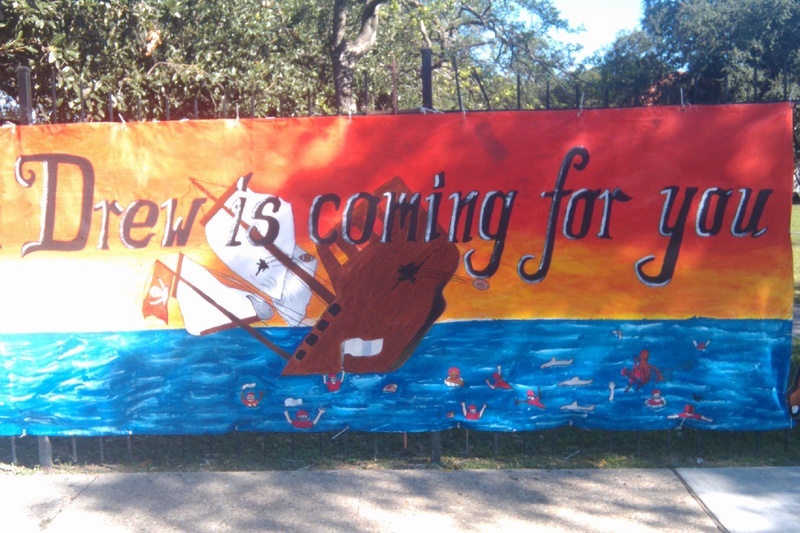 Oh props to my alma mater (McMain) for the picture. Bless these Young WHO DAT hearts. Edward Buckles‘ BLINDED Film Showing commercial! 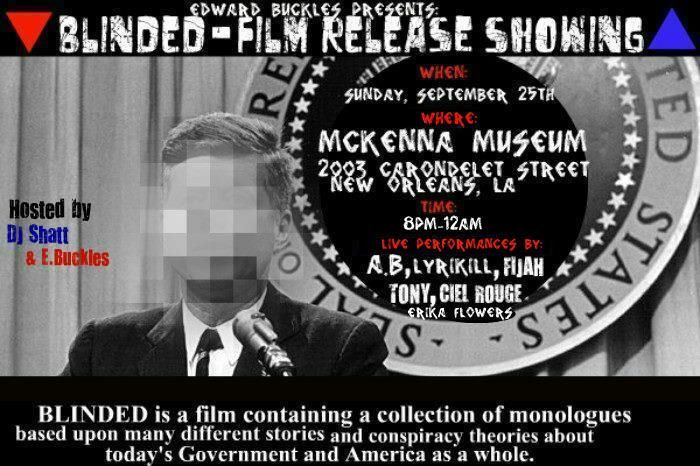 If you’re in the New Orleans area, come support at The McKenna Museum, this Sunday September 25th. Also showing “POLITE STRANGERS” by GUMBO MONSTER and “A MELON SUMMER” by PATRICK MELON (@EightMelon) .